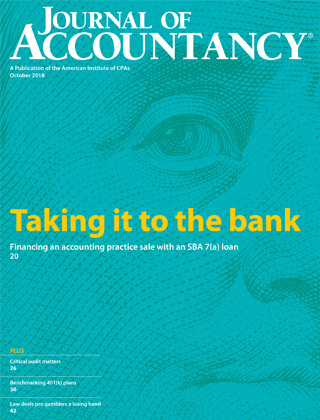 "Bank-Financing An Accounting Practice Sale"
Read our featured cover article, “Bank-Financing An Accounting Practice Sale” in the Journal of Accountancy. "Maximize Proceeds In Accounting Firm Sales"
Read our featured article, "Maximize Proceeds In Accounting Firm Sales" in the Journal of Accountancy. "Navigating the Path To Success In Accounting Practice Sales"
Read our featured cover article, "Navigating the Path To Success In Accounting Practice Sales" in the Journal of Accountancy. 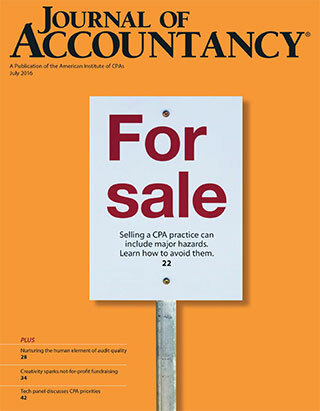 "How To Keep Clients After An Accounting Practice Sale"
Read our featured cover article, "How To Keep Clients After An Accounting Practice Sale" in the Journal of Accountancy. 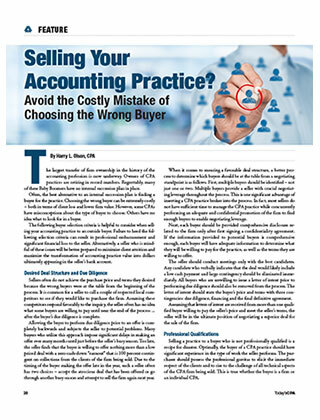 "Avoid the Mistake of Choosing the Wrong Buyer"
Read our featured article, "Selling your Accounting Practice? 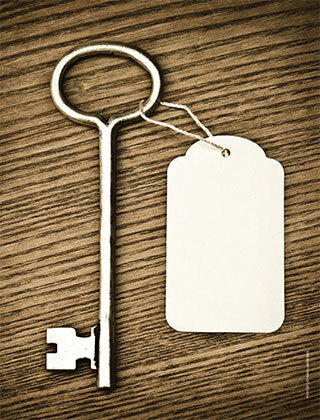 Avoid the Costly Mistake of Choosing the Wrong Buyer, in Today's CPA". What Are The Typical Terms of an SBA Loan For The Purchase of an Accounting Practice? 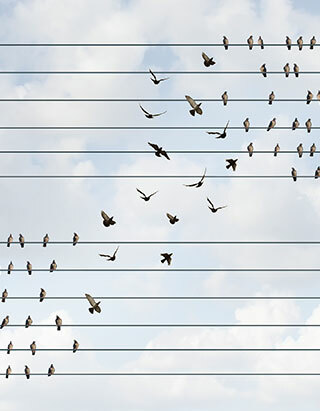 What should the seller’s schedule be like in the middle of a CPA practice acquisition or merger?